Power transformers allow power to be transmitted evenly without any risk of high or low voltage. The transformer is used to control the fluctuation of high or low voltages. Step up transformer is used to increase a constant low voltage, for instance a 108 volt can be stepped up to 120 volts. Similarly, a step down transformer is used to reduce high voltage conditions. Because of the resistance the transformer helps to deliver even voltage protecting appliances and devices from high or low voltage conditions. Transformers are divided into many types depending on the electrical power functions they deliver. The CVT Dealers in Chennai classifies these based on voltage, winding arrangements, installation, usage and core medium used. As the name goes these are transformers used to correct the voltage level. It can be divided into step-up and step-down transformer. These are the most commonly used transformers and are suitable for most type of applications. Moreover, it is important to remember that there is a basic difference between primary and secondary power. When the voltage is high in the secondary side the power drawn from the secondary lowers the power to make it equal. The same is true in the reverse when a high voltage occurs. In the case of power plant the grid power supply is very high and needs to be stepped down while sending to auxiliary plants. The voltage sent to the auxiliary plant is of low operational voltage when compared to the generated voltage. Step down transformer is extensively used to convert high grid voltage into low grid voltage especially for residential purposes. The core medium transformer can be divided into iron core and air core. In air core transformer a non magnetic strip is wound on the primary and secondary windings and the flux linkage here is just air. The inductance effect is far lesser in air core when compared to iron core. Moreover the flux generated is high in the air medium when compared to the iron core. But the eddy current losses and hysteresis is high in iron ore type and is solely eliminated in the air core transformer type. Generally transformers have two windings on the opposite sides, the primary and the secondary but in the case of auto transformer the windings is connected to one another both magnetically and physically. There is a common winding in primary and secondary winding. In this case the voltage can be varied by moving the position of the secondary winding onto the coil body. Transformer does a number of functions based on the requirement. These are classified as power transformer, protection transformer, measuring transformer and distribution transformer. Power transformer is big in size and is used to transfer high power particularly for transmission voltage more than 33KV. It is generally used in generating stations and substations. Protection transformer is used in component protections. There is a difference between protection and measure transformer and that is the accuracy. The former is more precise when compared to the latter. Measurement transformer as the name suggests is used to measure the electrical quantity like current, voltage, etc. These are also called as potential and current transformers. Distribution transformer is used for distribution of electrical energy at a very low voltage less than 33KV for industrial purposes and 440-220V for domestic purposes. The transformer works well at low efficiency at 50-70%, comes in compact size, is easy to install and has low magnetic losses. Moreover it is not fully loaded. Transformers can be used both outdoor and indoor. The indoor transformer is covered with roof like structure and is commonly seen in industries. 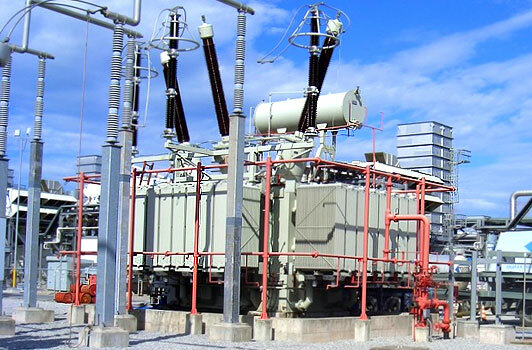 Whereas, outdoor transformers are mostly used for distribution purposes and are placed in substations. Transformers are divided based on their functions. Apart from these there are single phase and three phase transformers. The former is a static device working on the principle of Faraday’s law while the latter is connected using three primary winding as one and three secondary winding to one another. It is cheaper to opt for three single phase transformer than going for one three phase transformer.